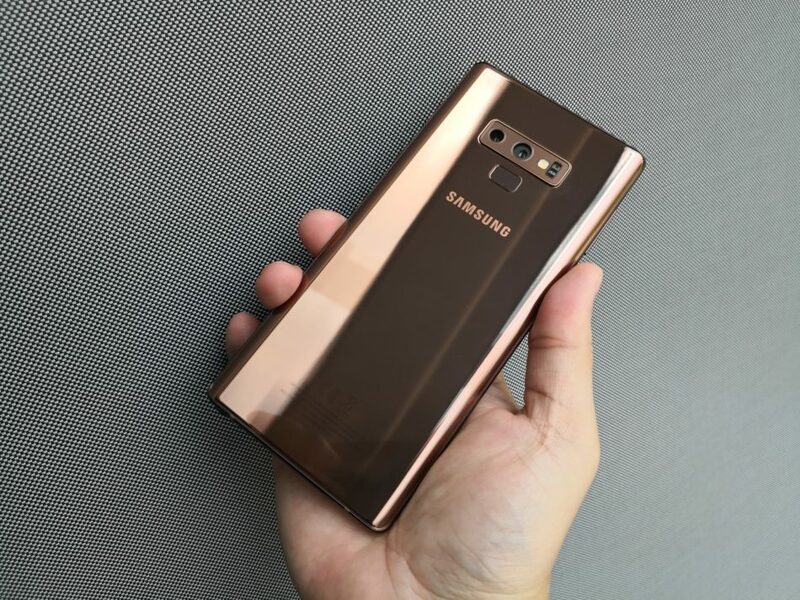 Samsung showed off a new Galaxy Note 9 packed with more memory, storage and battery capacity in Singapore today, convinced that these features would win over users despite its high price. The latest version of the company’s large-screen flagship phone comes with as much as 512GB of storage, more than many mid-end laptops today. Pop in a 512GB memory card and you get as much as 1TB on the smartphone – surely enough to never have to delete any Instagram selfie or cat picture. 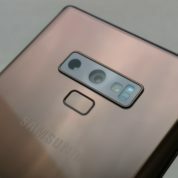 The Galaxy Note 9 has a price to match too. At S$1,728 for the high-end model, it costs more than many laptops with bigger screens and faster processors. As far as phones go though, this is one for folks who believe in going big or going home. The more expensive of the two versions out in Singapore comes also with a generous 8GB of memory. That’s as much as many laptops today. The cheaper version sports a still-handy 128GB of storage and 6GB of memory, which are good enough really for most users. It’s still not cheap at S$1,398. For that kind of money, you’d expect nothing but the best hardware. 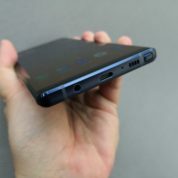 Inside the Galaxy Note 9 is an octa-core processor and support for fast 4G downloads of up to 1.2Gbps. That’s if your telco supports it (Singapore only has 1Gbps in some areas). 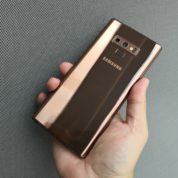 Perhaps more practical is the 4,000mAh battery, which is larger than the 3,300mAh from last year’s Galaxy Note 8. 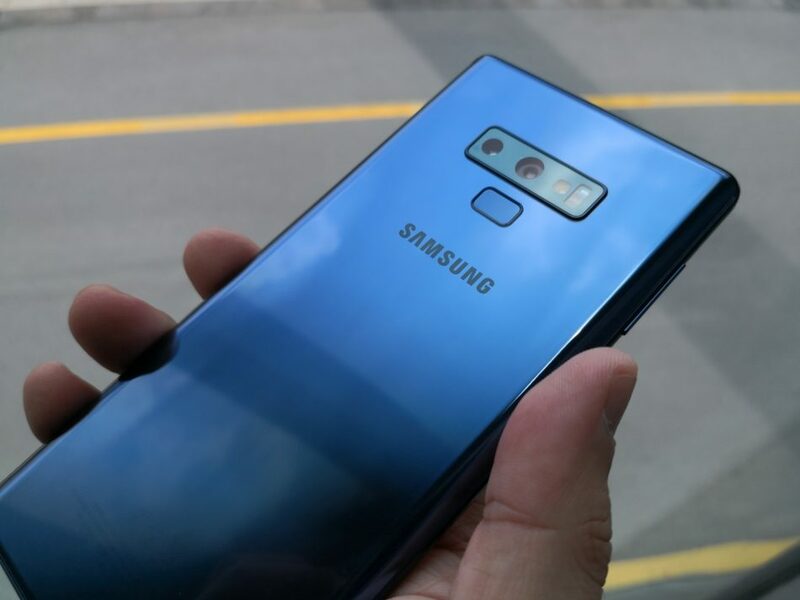 Samsung is promising enough juice all day long and you will be hard pressed to bet against the Galaxy Note 9 for that. You really shouldn’t be surprised since the phone does have the heft for that kind of power pack. 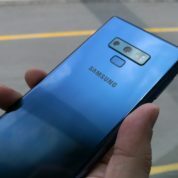 Weighing a hefty 201g, a bit more than last year’s 195g, the Galaxy Note 9 is big and chunky. If you’re looking for sleekness, look for the Galaxy S9 instead. The screen is slightly bigger too, up from 6.3 inches to 6.4 inches, though you’d hardly see the difference if you held both phones in your hands. From what I can see from a review unit I got hold of today, the Super AMOLED screen is what you expect from Samsung. Clear, sharp and vibrant with a great resolution of 2,960 x 1,440 pixels, it sets the standard yet again. What Samsung has also placed in its advanced flagship is the camera array first seen on the Galaxy S9+ earlier this year. 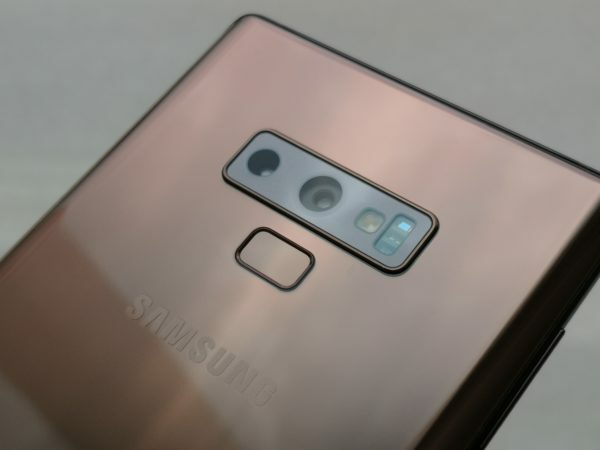 That means a dual-lens setup with variable aperture, which is a handy feature (read our Galaxy S9+ review). You can choose to shoot in wide-angle mode with the 12-megapixel camera that offers either f1.5 or f2.4 aperture, which opens up a lot of creative options. Or you can go for the telephoto option with a 12-megapixel, f2.4 setup. Here, you get up to 2x optical zoom if you want to retain clarity while shooting from slightly further away. That’s handy to have in situations where you can’t get close enough to a subject. 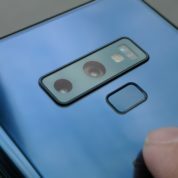 There are the small details on the new phone as well. 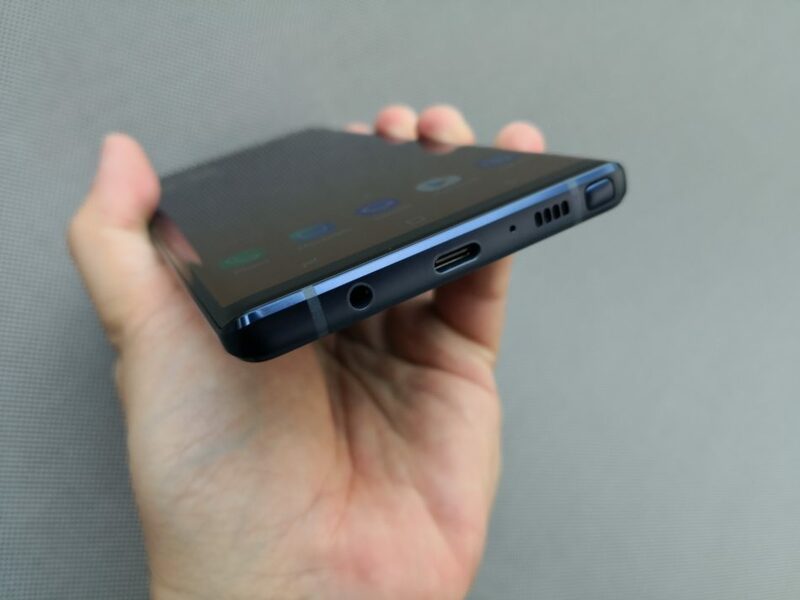 One thing that Samsung hasn’t really gone to town with is the retention of the headphone jack. Fortunately, you don’t need to plug in an adapter. That may seem like much but many music lovers will thank the Korean company for not blindly following Apple’s bad example. 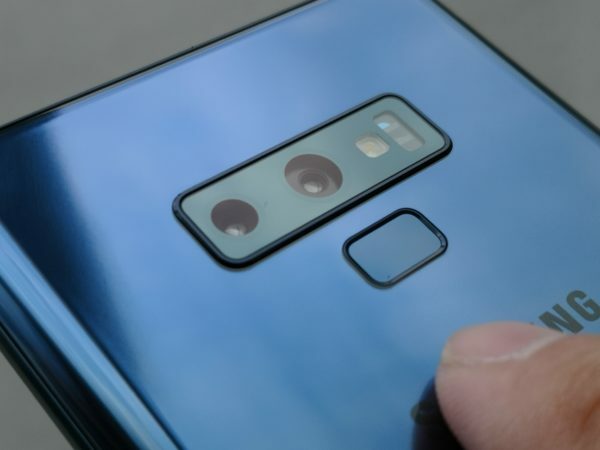 Another thing that stood out for me today was the placement of the fingerprint sensor at the back. It’s now below the camera array instead of being next to it. That means your finger will find the sensor more easily. It’s ironic that I have almost forgotten to discuss one of Samsung’s top selling points for the new Note – the souped-up S Pen stylus. Besides being used to poke at the screen and scribble, it now lets you control the phone remotely, say, if you are presenting a slide on the phone when it’s connected to a projector. It’s a cool feature to accomplish a task that is mostly entrusted to a laptop today. Perhaps Samsung is telling you this new phablet can replace your laptop. That would be a neat story, after all. 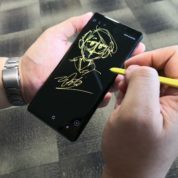 With enough juice to last a day and memory and storage rivalling many laptops, the Galaxy Note 9 seems well positioned, at least on paper. Little wonder Samsung is asking a king’s ransom for it. But the Korean company has a problem – users are holding on to their phones a little longer after seeing only small changes each year. Plus, there’s competition from increasingly attractive makes from Chinese manufacturers like Huawei and Oppo. 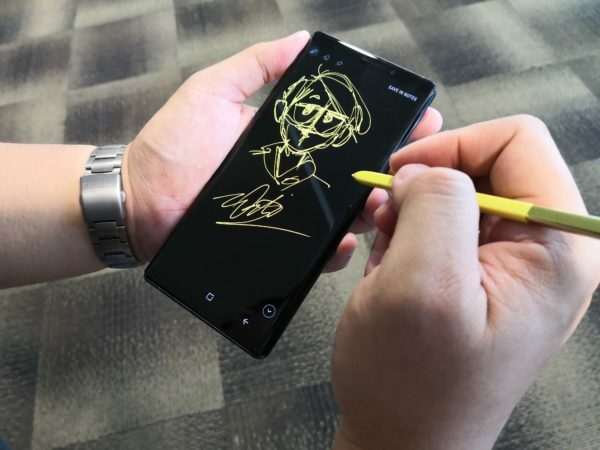 We are currently testing the Galaxy Note 9. Look out for our review soon!